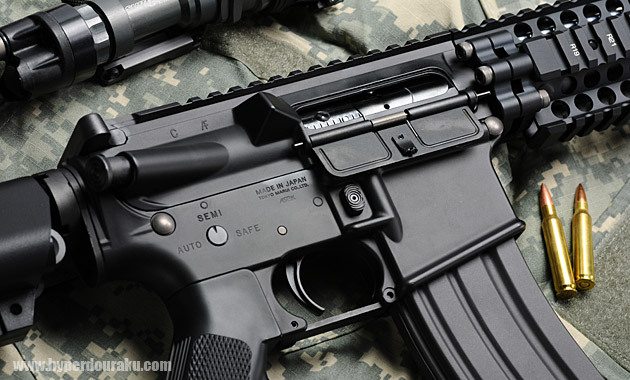 This is the newer Electric blowback system introduce by Marui not so long ago is becoming a new standard as this version attests; with some pretty externals including fully licensed Daniel Defense components, markings and yet a few differences as well it still makes use of the same blowback internals and the same special magazines. 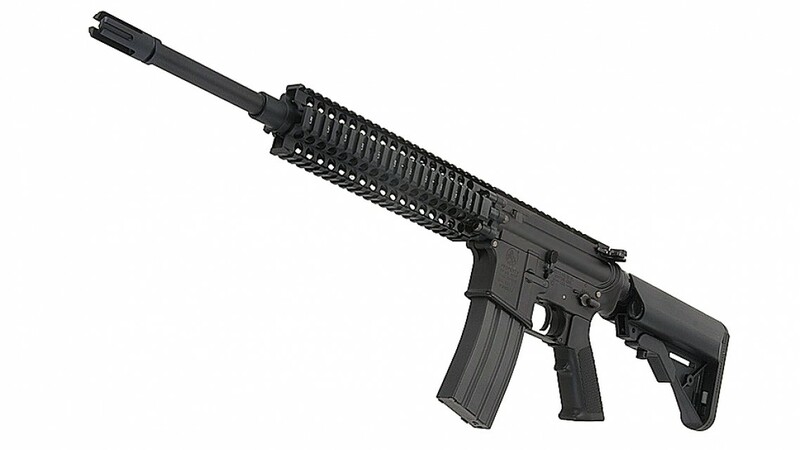 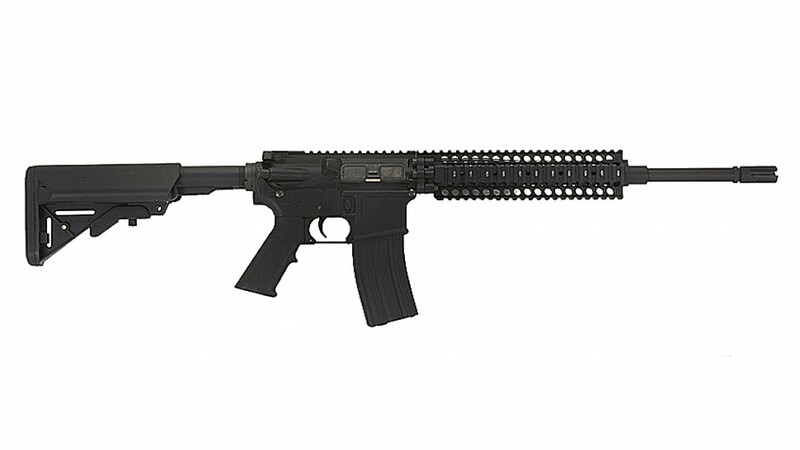 The 10 inch rail system is Daniel Defense style (fully licensed by Daniel Defense USA) which is not only damn fine looking but very practical; the bolts hold the rail on more securely then simple delta attach types and the nice deep top and bottom rail setups are good for compatibility with deep set mounting grooves such as those found on some grenade launchers. 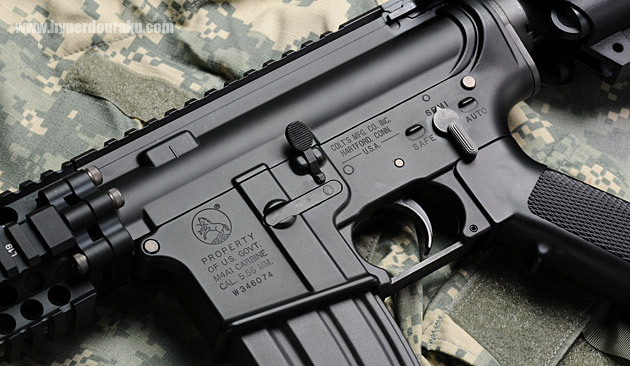 -10inches/light rail with engraved numbered rail, 100% CNC. 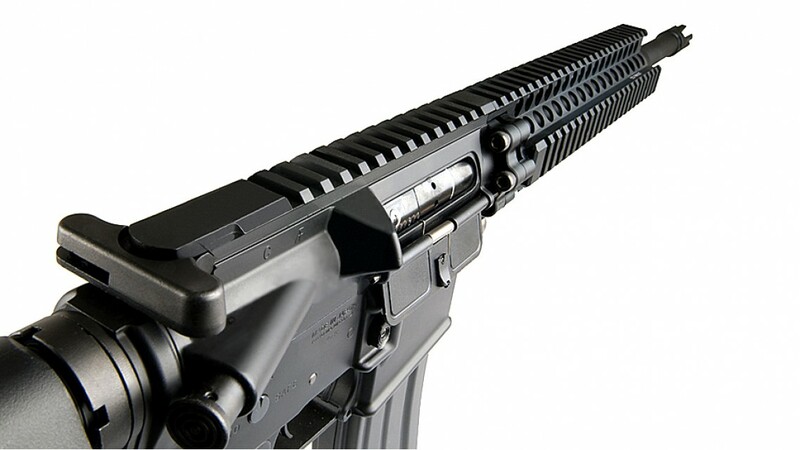 -Change the barrel length from 12 to 16 within seconds just by screw on a longer outer barrel (provided), without dismantling the gun. 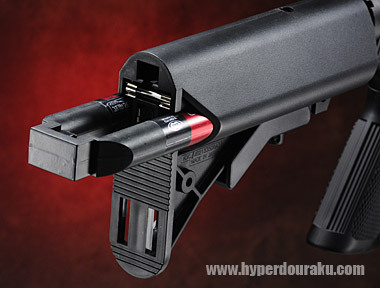 -Reinforced, floating outer barrel, provide good accuracy. 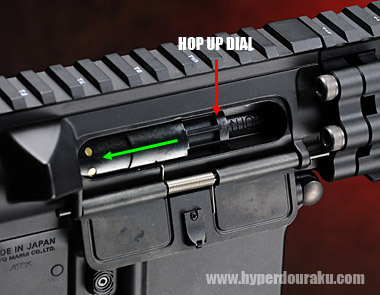 -Stop feeding system, stop firing when the mag is empty. 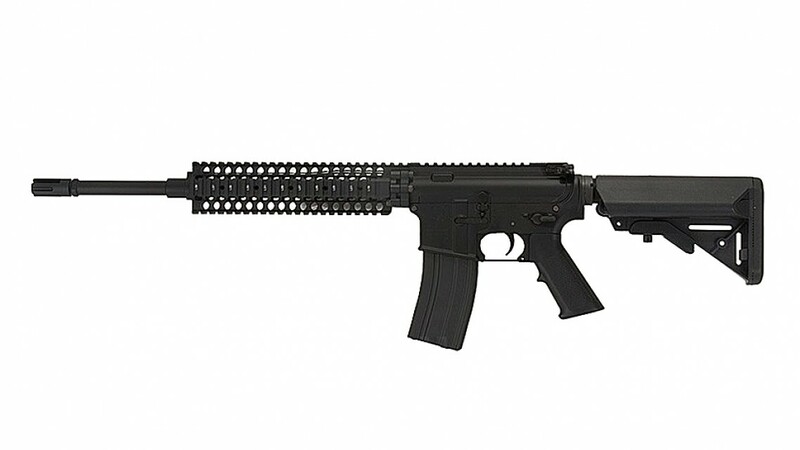 -Die cast aluminum frame provides solid built.